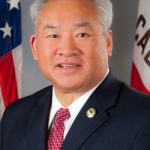 SAN JOSE — With just four weeks before the Nov. 4 general election, Assemblymember Paul Fong (D-Cupertino) announced Oct. 3 that former White House Cabinet secretary and former San Jose mayor Norman Y. Mineta has endorsed his candidacy for San Jose City Council District 1. “Norm Mineta has served our nation and San Jose with courage and distinction, and I am proud and honored to receive his endorsement,” said Fong. 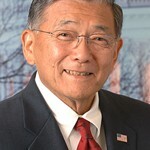 Prior to becoming U.S. secretary of transportation under President George W. Bush and U.S. secretary of commerce under President Bill Clinton, Mineta was elected mayor of San Jose in 1971 with 60 percent of the vote, beating out 14 other candidates. 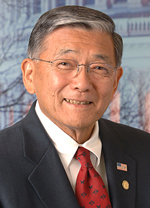 Mineta served in the U.S. Congress from 1975-1995. 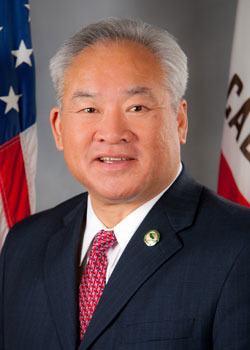 Fong also announced the endorsements of Santa Clara County Supervisor Ken Yeager, who represents at the county level the west San Jose district where Fong seeks election, and former San Jose City Councilmembers Judy Circo and Charlotte Powers. In the June primary, Fong placed first out of seven candidates. His opponent in the runoff is San Jose Neighborhoods Commissioner Charles “Chappie” Jones. With ballots mailing to District 1 vote-by-mail voters on Oct. 7, the Paul Fong for City Council campaign announced over $54,000 raised for the race, $12,000 more than Jones. “We are humbled by the strong and growing support for our campaign,” said Fong. “This level of support reinforces the strong desire in our community to move away from the failed polices of the past and to focus on bringing ‘safety first’ back to San Jose. Several members of the Palestinian community were offended by an email written by Chiu on Sept. 22 to Fong contributors that referenced Jones’ political consultant, Vic Ajlouny, as being a member of the Palestine Liberation Organization. The Fong campaign later quoted The San Jose Mercury News as saying that Ajlouny had not been a member of the PLO, but had advised its chairman, Yasser Arafat. Chiu admitted making a mistake and apologized directly to Ajlouny and the Council on American-Islamic Relations (CAIR) on the same day the email was released. Chiu also apologized to the larger community on television and in radio interviews on Sept. 23. Chiu stated, “Having experienced discrimination as a gay Chinese American, I am profoundly and sincerely saddened that I caused hurt to another minority community.” He pledged to proactively reach out to members of the communities that voiced anger and disappointment to learn, listen and become better informed so that he can grow from this incident. Fong also directed Chiu to enroll in sensitivity training. Fong announced that his field director, Patrick Ahrens, was promoted to campaign manager, effective immediately. Ahrens has previously worked on other campaigns, including Rep. Janice Hahn’s in Los Angeles.